SVFLUX is designed to model groundwater seepage in unsaturated or saturated soils and rock. It is offered as a comprehensive 1D, 2D and 3D finite-element program for calculating steady-state and transient-state groundwater flow. 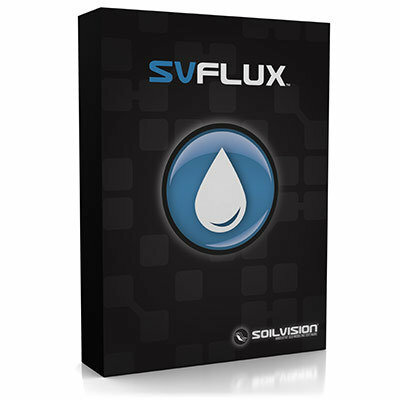 Available for each specific Suite we offer SVFLUX WR, SVFLUX GE and SVFLUX GT. The packages includes powerful features such as automatic mesh refinement, climatic coupling and calculation of actual evaporation from the ground surface.